Making Tax Digital (MTD) is HMRC’s switch from online filing of HMRC’s fiscal reporting to a direct interface from your Accounting system to the HMRC portal. This spells the end to any manually entered keyed in data. It is mandatory for all UK VAT registered businesses to report their VAT obligations to HMRC by the way of Making Tax Digital by April 2019. 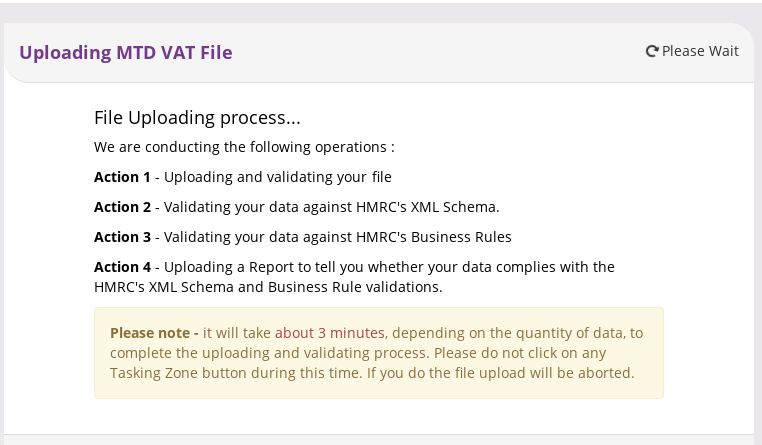 The MTD VAT interface needs to conform to HMRC’s approved XML Schema using OAuth2, rest based API and JSON. Infor System 21 Aurora user sites need to act now to ensure that they meet the HMRC deadline of April 2019. Here at Total-e-Solutions we have created an Infor System 21 Aurora MTD module that will allow you to send your VAT returns to HMRC via an approved HMRC Gateway. The Total-e-Solutions Infor System 21 Aurora MTD module integrates to HMRC's using their approved XML Schema and Business Rules. We have done all the hard work, so you don’t have to. Moreover, our MTD module is free, subject to terms and conditions. Furthermore, our MTD module and HMRC Gateway for System 21 Aurora users has been designed for future inclusion of the next wave of MTD integration namely Corporation Tax 2019 then PAYE submission 2020. This maintenance option is required to flag EC member states, so EC purchase, and acquisition goods can be reported in your MTD VAT return (VAT100 & VAT101). Please note: Country codes are refreshed from the GL parameters file GLPARMS held within Infor’s System 21 Aurora General ledger database. This maintenance option is used to create and maintain IFS directory paths for HMRC file transmission, the VAT reconciliation download extract and to import VAT returns from alternative ERP accounting systems. This feature is required to enrol VAT registered System 21 Aurora companies, their corresponding iSeries libraries and file locations to the MTD module. Please note: the period flag set to G will use the GL period to extract your VAT returns, conversely the period flag set to V will use the VAT period defined within the Infor System 21 Aurora VAT calendar file. Additional information such as the trader’s email address used for the HMRC MTD VAT transmission are also maintained within this function. Enter the from and to periods for your VAT return. Upon submission your VAT transactions will be extracted to Microsoft excel for reconciliation. VAT MTD transactions will be extracted from your Infor System 21 Aurora GL transaction file FLP008 or your VAT transaction File FLPUK4, dependent upon your accounting practices. Please note: If inaccuracies are identified in your reconciliation extract standard Aurora functions such as General Journals can be utilised for VAT corrections and this function can then be re-run. This function uplifts a pre-defined excel or CSV template VAT reruns to the MTD database. This is required if corporate subsidiaries are held in alternative ERP accounting packages. Please note: Data from other accounting packages such as MAN, Sage, Microsoft Dynamics, Oracle, Infor M3 etc will be automatically consolidated by VAT number and either added or amended to the MTD VAT return you are reporting. This facility is used to submit VAT returns to the HMRC gateway. 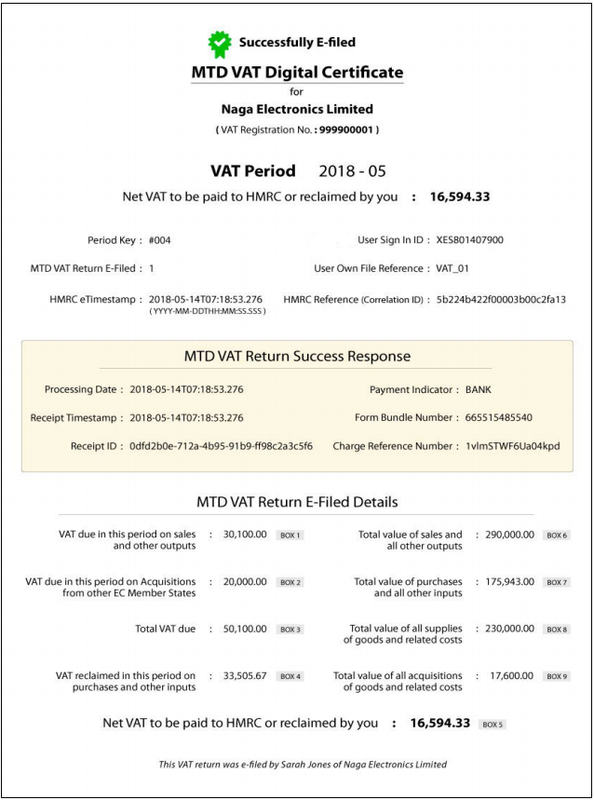 Please note VAT returns, including those uploaded from alternative ERP accounting packages will be consolidated and summarised by each VAT entity. VAT returns can be enquired upon prior to submission to the HMRC MTD Gateway. Upon successful Integration your MTD VAT digital certificate will be produced for your records and future VAT audit requirements.